Product Code: Natural-Stones-Lakha-Red-Brush We are UPGRADING OUR SHIPPING SYSTEM to make it FREE or bare minimum! Until then, WE WILL CALL YOU TO UPDATE EXACT SHIPPING CHARGES! 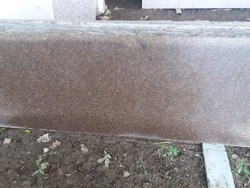 This Classic Red Granite is cut, finished and shaped by our skilled professionals with the use of modern techniques.